Time for a bit more from UK comedian Ben Miller and Enlightenment. In this sketch, unlucky art historian Dennis Lincoln-Park introduces us to an exquisite Medieval tapestry. 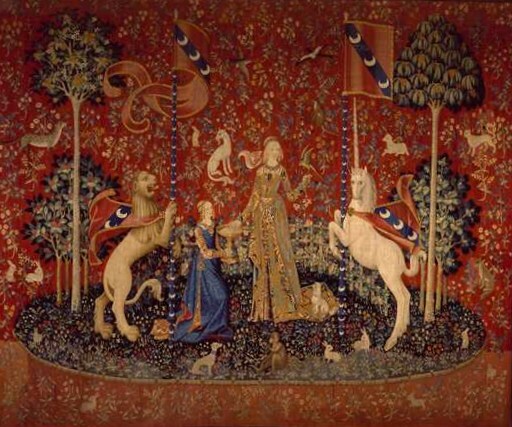 Fans of Medieval art will recognise the prop used as a reproduction of one of the six panels of The Lady and The Unicorn - one of the most iconic works of late Medieval France. 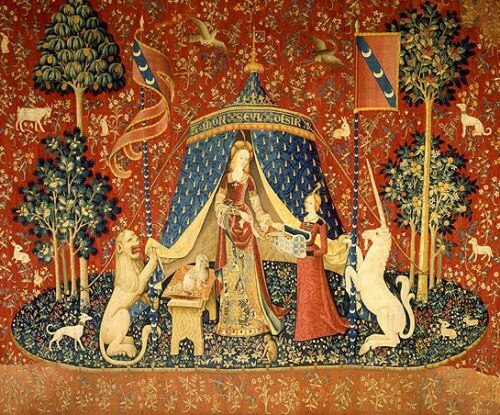 This series of six tapestries is now on display at the Musée national du Moyen Âge in Paris. Those interested in Historical Fiction, and who enjoyed Girl with a Pearl Earring may be interested to know that author Tracy Chevalier has written a book exploring the story behind these amazing works. 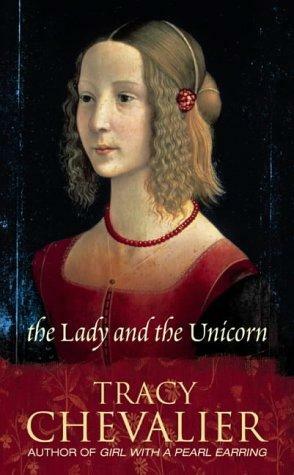 Chevalier's The Lady and The Unicorn(2003) comes in a variety of formats, including Kindle and audio editions - it's definitely on my reading list for 2011. To see how Dennis Lincoln-Park fares with this exquisite French masterpiece, click below! There's a reproduction of this hanging in my uni's library. That would be a lovely thing to have a reproduction of! We had some nice reproductions of Leonardo's anatomical sketches at my old university - I mustn't have been the only one that contemplated walking off with them - the frames they were in were bolted down! The Cluny caught my attention in 1992. We were to busy to go in 03 and this past October I forgot that it was closed on Tuesdays. One day. Hi Clever Pup - welcome to 3PP!